Old & New Shop specializes in easy and fast service. When you call us at (212) 633-0329, we come out the same day, make an offer on the spot, and provide immediate payment and removal. Be certain that your belongings are assigned the value they deserve with our antique and jewelry buyer. From fine porcelain, rugs, and furniture, to precious jewelry, metals, and stones, we purchase the items you no longer have a need for. Old & New Shop Inc. is a second generation family owned and operated company with over 40 years experience in the antique business. We have developed a worldwide customer base enabling us to pay you top dollar for your possessions. Specializing in high end goods, we purchase full or partial estates and collections, but can assist you in any part of the liquidation process. Old & New Shop serves the tri-state area and beyond, providing same day service, payment, and removal. 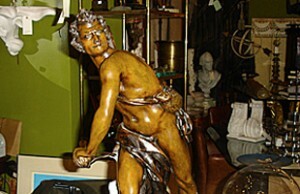 We work closely with several auction houses so we can assist you with consignment of an item if necessary. 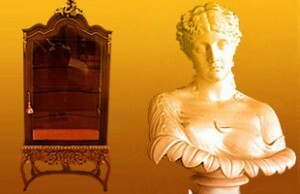 Our company handles a large spectrum of goods including art, silver, jewelry, porcelain, bronze and marble statuary, lighting carpets and textiles, coins, pottery, furniture and more. We are also interested in quality mid-century modern items as well. Old & New Shop has relationships with many private collectors for lamps and glass by Tiffany, Galle, Daum, and the like. No estate is too big or small. Any and all questions are gladly answered by our courteous and knowledgeable buyers. At Old & New Shop we know the value of your possessions and are prepared to pay you top dollar for them so please call today! Contact us in Glendale, New York, for prompt and reliable services.